As we have spoken about many times before, Shabbat Pinchas is a very powerful Shabbat – not just for healing, as has been discussed, but it’s also an important time to both connect to and understand what we’re connecting to, during what is called the "three weeks." Nothing is a coincidence, and therefore, there is a reason Shabbat Pinchas usually comes towards the beginning of a time period considered to be the three most negative weeks of the year, what the kabbalists call the Yamei Ben HaMetzarim. Literally, those words mean these are days of narrowness, or that are constricted. The great kabbalist the Ohev Yisrael, Rav Avraham Yehoshua Heshel from Apta, explains that not coincidentally in this week’s portion, we read about all the holidays that appear throughout the year. He points out that the number of holidays throughout the year is 21. And those 21 days of holidays, he says, correspond to the 21 days that begin the three weeks, up until the 9th of Av, Tisha B’Av, what’s considered to be the most negative day of the year. And he says that concealed within each one of these 21 days is Light that is even greater than the 21 days of holidays. We all know how powerful Rosh Hashanah, or Yom Kippur, or Pesach is... now, imagine that we have 21 days which have the totality of that Light, consecutively, one after the other, at least in potential! It says that while the 9th of Av is the most concealed day, it is really the day when the Light of Mashiach is revealed. Why? Because, as the kabbalists teach, it is within the places that have the greatest concealment, usually experienced by us as a challenge or darkness, where the greatest Light is; the channels of Light opened by the transformation of darkness reveal great Light. 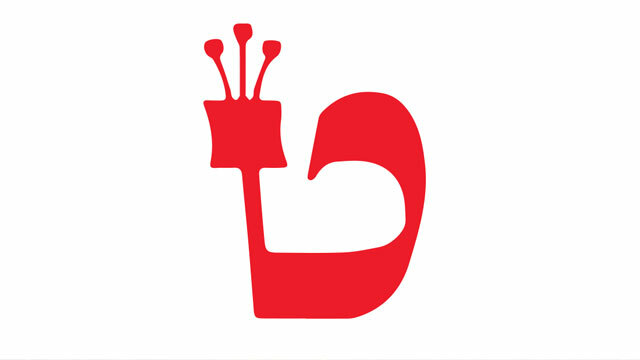 The Zohar uses a beautiful phrase referring to the letter Tet, which is 9, for the 9th of Av; it says, “Its goodness is concealed within it.” And that’s why the letter Tet points inward, as if to say, “Yes, over these 21 days you might experience challenges, but if you are able to maintain the clarity and the certainty that within each one of the challenges, within each one of the 21 days, its goodness, Light, and power is concealed within it, then you can uncover greater Light than at any other time of the year.” Therefore, it says that for those of us who are running after the Shechinah, running after the Light of the Creator, the time of year in which we are the most capable of catching that connection with the Light of the Creator is during these three weeks called Yamei Ben HaMetzarim - the days that are outwardly constricted, outwardly not as filled with Light. And so, on Shabbat Pinchas, what we want to ask for, of course, is all the Light of Pinchas, the Light of healing. But, just as importantly, we want to understand that within the next weeks, leading up to Tisha B’Av, there is great Light. We are going to experience the shell of that Light, we are going to experience, to some degree or another, the concealment of that Light, but if we’re able to maintain the certainty and clarity that the great Light is concealed within these 21 days, the Yamei Ben HaMetzarim, and within the challenges, then we reveal that great Light. As we ask to receive the Light of healing, we also want to draw from Shabbat Pinchas the strength over the next few weeks to really be able to extract the goodness concealed within these 21 days, knowing that in reality what we can connect to and receive during this time is greater than any other Light we can receive throughout the rest of the year.